Six drawers and two cabinets open with antique brass hardware. 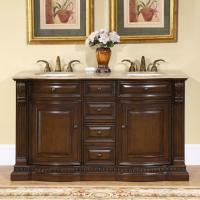 Lovely brown finish provides a rich texture under a travertine counter top. Fixtures are not included. 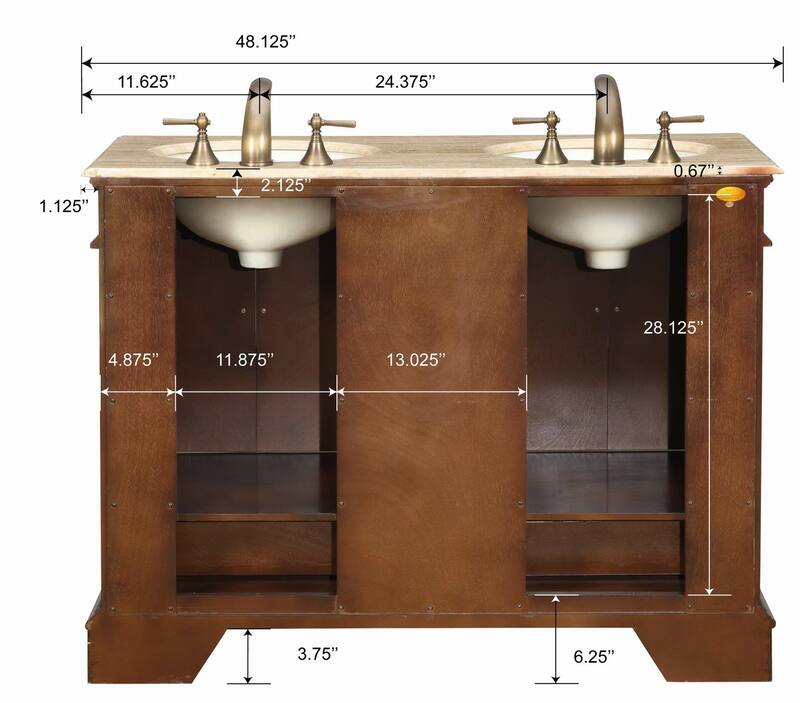 Additional Sizes: Also available in 48 Inch Double Sink Bath Vanity, 60 Inch Double Sink Bath Vanity, 72 Inch Double Sink Bath Vanity. Christine, Just wanted you to know that the vanity arrived yesterday (one day early) and we think it is absolutely a beautiful piece of furniture. It is very well made and heavy (350 pounds, ugh!) and we can't wait to install the plumbing and move it into the bathroom. I am very pleased that I found your web-site. 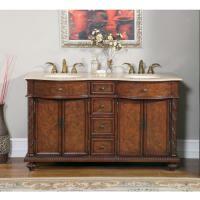 The vanity was delivered in the described time frame in perfect condition. It is absolutely beautiful! We love it. We got to pick the type of wood finish, and the counter top. We are very pleased with this vanity. The vanity is beautiful and fits perfectly. 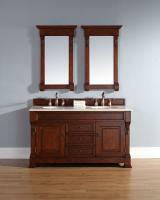 It is difficult to find a two sink vanity for a smaller space. Yours works wonderfully. Loved the added touch of the two hand towels and soap as a thank you. Very nice. 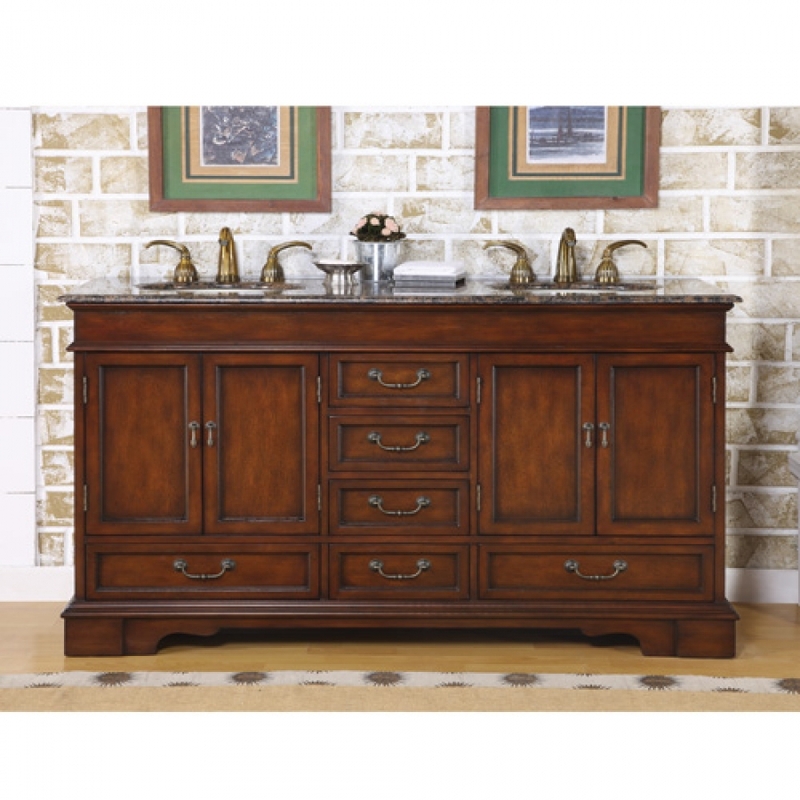 Very nice Vanity. Have it sitting in my garage waiting for install. 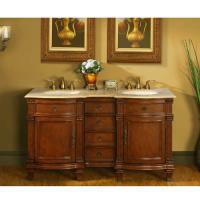 Must match everything to colors in travertine top and wood cabinet. Could have use a up close , larger photo! Absolutely Beautiful!!! 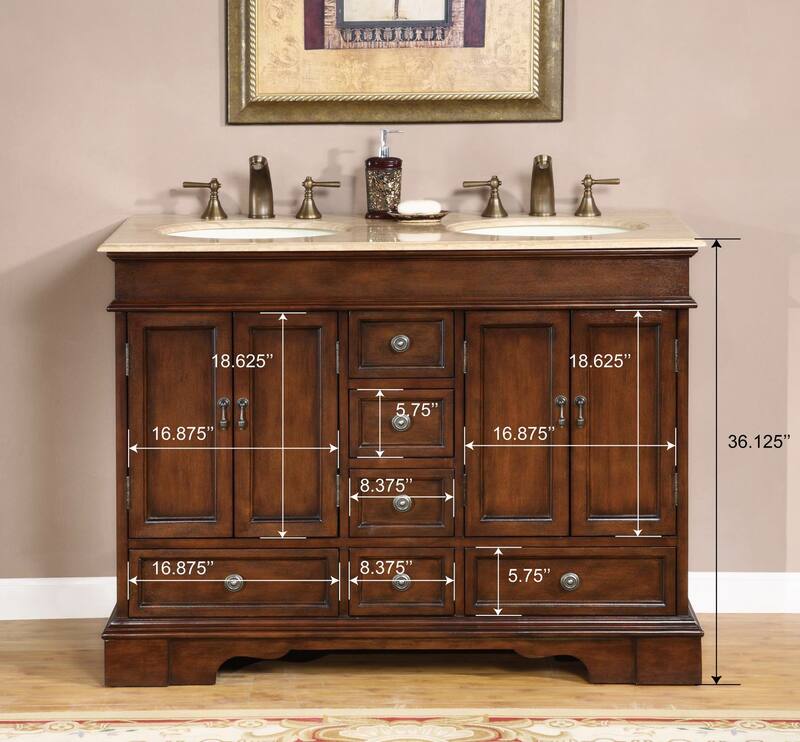 We love everything about the vanity. You Guys are great! Thank you. Better looking than on the web excellent construction. Great company to work with.